Planning a wedding? 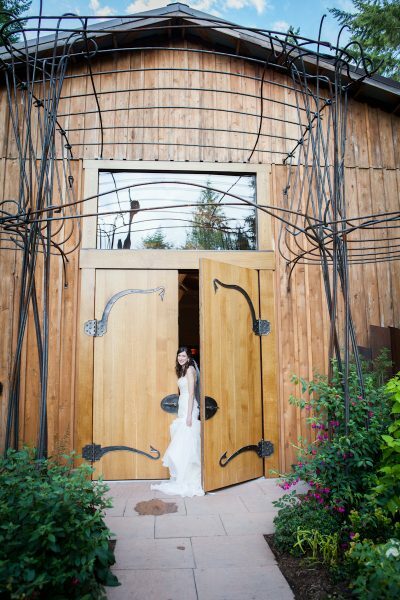 Look at Whidbey Island wedding venues! Are you looking for a really special place for your wedding? Have you considered Whidbey Island? It’s a great choice! Of course, I am biased – I live here! But bias aside, it really is a great place for a destination wedding. In addition to the relaxed pace of life and the beautiful scenery, there are several choices of venues, plenty of skilled local wedding vendors, and lots of things for your guests to do. As a wedding planner on Whidbey Island, my goal is to make your wedding planning process fun, relaxing and stress free. 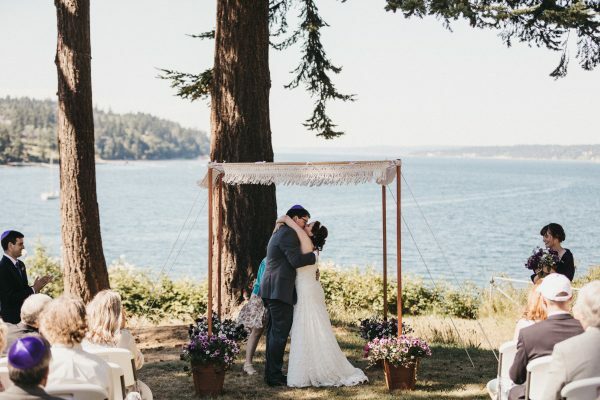 Use this list of my favorite wedding venues on south Whidbey Island to help you find the perfect place to tie the knot. And of course, if you have any questions about your planning or would like help putting your event together, I am happy to assist! I offer full wedding planning, day-of coordination, simple coaching sessions priced by the hour, or anything in between. 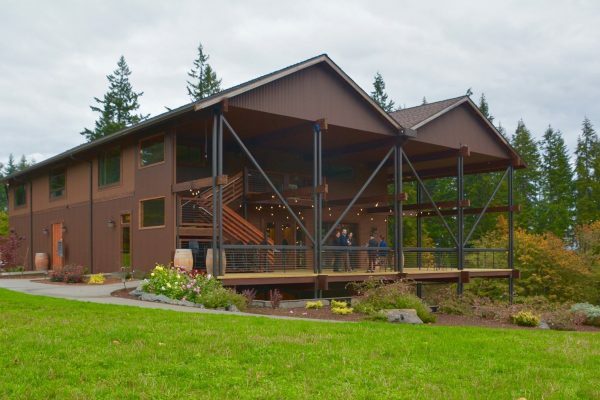 Comforts of Whidbey Winery & Event Center is a 22-acre farm with a lovely new event space and tasting room. This is the only water-view venue on the south end of the Island, with east-facing views of Puget Sound as well as views of the vineyards and pastures. They offer both outdoor and indoor ceremony spaces, and a nice big dining room with 3 glass roll up doors leading to a generous deck for indoor or outdoor dining. Their estate-produced wines are delicious! They also have a 6-room B&B with very comfy beds – great for the bridal party! You are allowed to select your own catering service. In my opinion, this is a comfortable space for 60 – 100 guests, though I’ve done weddings of up to about 130 people there. Fireseed Catering is tucked in a magical clearing in the woods. Theirs is a woods & garden setting with a lovely lake and wetland view. They offer both indoor and outdoor ceremony spaces, indoor and outdoor bars & lounge areas, a very spacious indoor dining/reception space with separate bride and groom lounges. They offer in-house catering and bartending. 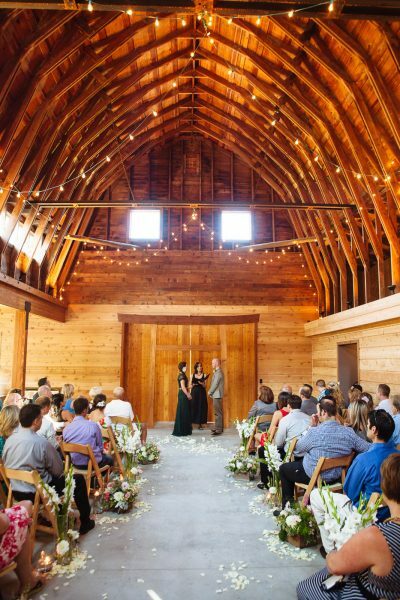 This is the OG Whidbey Island Wedding Venue, and no one else really does it as well. For that reason, they are usually booked out well in advance. If you want to be at Fireseed in 2019 – you better act fast! It might already be too late. 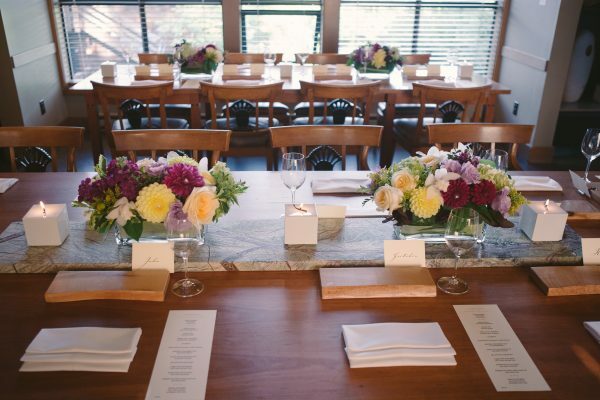 Fireseed Catering offers the largest venue on the south end, holding 200 people comfortably. Dancing Fish Vineyards offers a picturesque historic barn and a farmhouse that sleeps 6. The setting is pastoral, with a view of the vineyard as the main backdrop for the outdoor ceremony space. They have a large lawn area for your ceremony, lawn games and cocktail hour, and the barn or the large patio for your reception. They also have a bocce ball court and a quaint little “loafing shed” that offer a fun option for cocktail hour, or for a more intimate event. Roaming Radish offers a stylish organic industrial vibe in the woods. This is an airplane hangar, now restaurant/venue space. It is a gastropub during the week and an event space on the weekends. They have indoor and outdoor ceremony options, a great indoor dining room as well as a large patio if you prefer to be outside. Catering and bartending are in-house only – but that’s cool, because it’s great! The Inn at Langley is an option for smaller parties (max of 40) with bigger budgets (let’s just be honest, here) who are really interested in investing in a culinary experience for their guests. This won’t be everyone’s cup of tea – but if it is yours, its a really nice cup! They offer indoor as well as waterfront or garden ceremony options, cocktail hour in the garden, and dinner in the main dining room. Chef Matt is world-recognized for his creative gastronomy, and they are the ultimate hosts! Having a wedding here makes guest lodging and getting pampered easy! This is an option for wedding parties of 40 or smaller. Last but not least, there’s Freeland Hall. Since this building is a multi use space for lots of functions, and not just weddings, it needs some patience and some decorating to hold a wedding there if you are looking for perfection. While it is not 100% the most charming you might find (there are wall cases with awards and fire extinguishers and other “unromantic” items), it offers the best water view on the Island, it can accommodate a decent-sized group, and its pretty affordable. It has great decks, and did I mention the view??!! Freeland Hall is a great fit for weddings of 120 people or fewer. Lots of people have connections to homes and properties on Whidbey and like to have their wedding there. This can require a special set of knowledge about what services are needed to turn a home into a venue. I love helping with private home weddings on Whidbey! So if you are considering this, but aren’t sure it is for you – I offer hourly consulting. We can schedule a walk-through and have a really deep talk about what is required and if it is the right choice for your event. If you are planning a wedding, there are lots of layers beyond the venue. Next up I’ll share my favorite caterers, wineries, breweries, and distilleries to help you get the food & drink portion underway. In later posts I will cover guest activities, music, entertainment, floral & décor, signage, etc. So stay tuned! And meanwhile, if you need any help with your wedding or event plans, give me a call or drop me a line! I am happy to help.